Health care is constantly changing and so are the needs of patients. 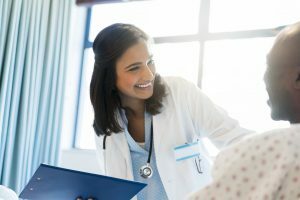 It has become more complex, causing primary care providers to divide their schedule in order to give expert care to both hospital patients and clinic patients. Unfortunately, if you’re in the hospital, this can make it difficult for the provider and other support staff to see you on a regular basis or when you need them. We believe that you deserve high-quality, timely care when you’re in the hospital, so that’s why we’ve started using a different method of delivering care called the Hospitalist Model, which we began at the beginning of January 2019. Previously, whenever you had to stay in the hospital, you competed with clinic patients for a slot on your primary care provider’s schedule. Using the Hospitalist Model, the Wadena clinic doctors take turns serving as hospitalists and devoting their time to hospital patients. 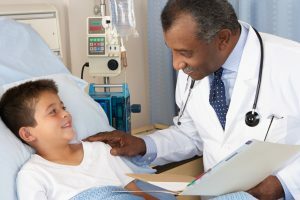 A hospitalist is a doctor who focuses solely on caring for patients who are staying in the hospital. By seeing a hospitalist during your stay, you receive more direct and immediate care because that doctor will not be divided between the clinic and hospital. How do hospitalists care for patients at Tri-County? 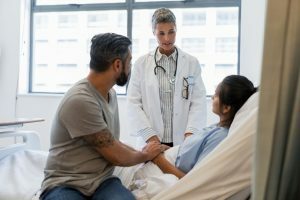 Because hospitalists are in the facility every day and focus only on patients in the hospital, they are able to keep you and your family well-informed and make sure all of your questions are addressed. “It also improves the efficiency of the support staff – the nurses, the pharmacists, the therapists – working with them because they only have one doctor to track down and talk to instead of five,” Hess said. Hospitalists also stay in close contact with your primary care provider throughout your full hospital stay. They coordinate tests and lab work and adjust treatment based on the results. During the night, they work together with the in-house emergency department physician. When you are ready to leave, the hospitalist updates your primary care provider on all aspects of the care given and any recommended follow-up care. Will I see my primary care provider? You might see your primary care provider if they are the scheduled hospitalist, but that may not always be the case as hospitalists rotate every few days. Does my provider know I’m here? The hospitalist lets your provider know when you arrive and when you leave and keeps them updated on changes in your condition during your stay. Who will I see after my discharge? The hospitalist will arrange follow-up appointments with your provider, as well as any specialists who consulted on your care. When you leave the hospital, the hospitalist will help you arrange appropriate follow-up care and make provider recommendations.